As a KPOA Member your dependents are eligible for college scholarships that are awarded annually. Must enroll in 12 hours or more in college credits per semester. 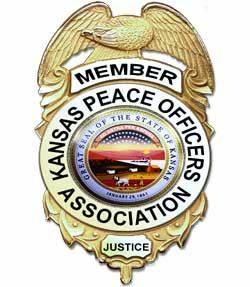 Must submit to an oral interview by KPOA scholarship committee if so requested. Must attach a brief (no longer than one type written page) resume of future academic and life goals. Must attach a recent photograph. Must attach a letter of endorsement from a ranking law enforcement officer in applicant's area. Must submit High School and College (if applicant has attended college) transcripts with the application. Must understand that the $1,000 Scholarship will be paid in two $500 installments in the first and second semesters. Award recipients are only allowed a maximum of two (2) annual scholarships of $1000.00 each, payable in $500.00 installments each semester during the term of the scholarship award. For more information and to apply, download our Scholarship Application. Applications must be received by March 31, 2019.